This week went absolutely amazing! I set a new record for sales and my liquid gold increased by over a million. If this pace continues I will very soon be finished with this challenge. Those of you following me on twitter will likely have seen all of my extremely braggy mailboxes with mailboxes of 200k+ gold every day! This week I almost managed to beat my record for sales in this challenge. 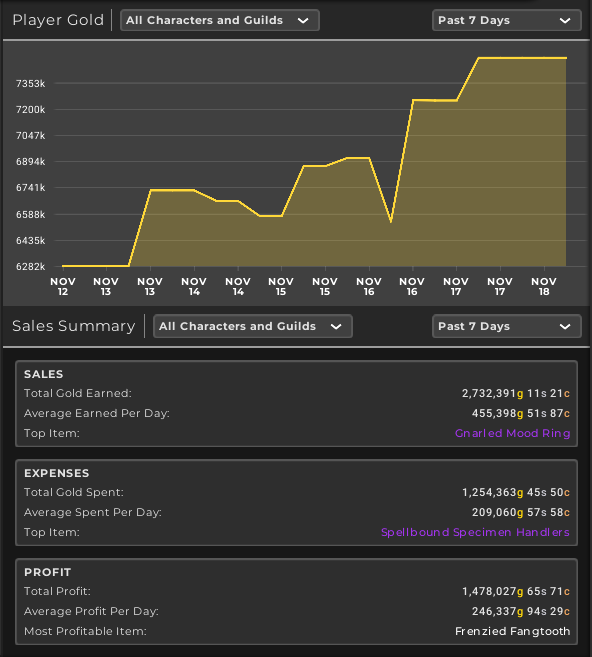 I managed 2.7 million gold in sales, which is pretty great. 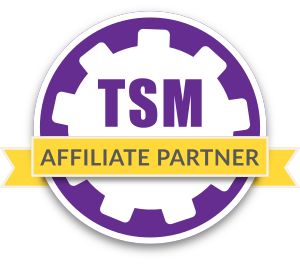 This means I now have 5 weeks in a row with more than 2 million gold in sales per week. If we look at the other numbers as well it’s pretty clear that this week went amazing. 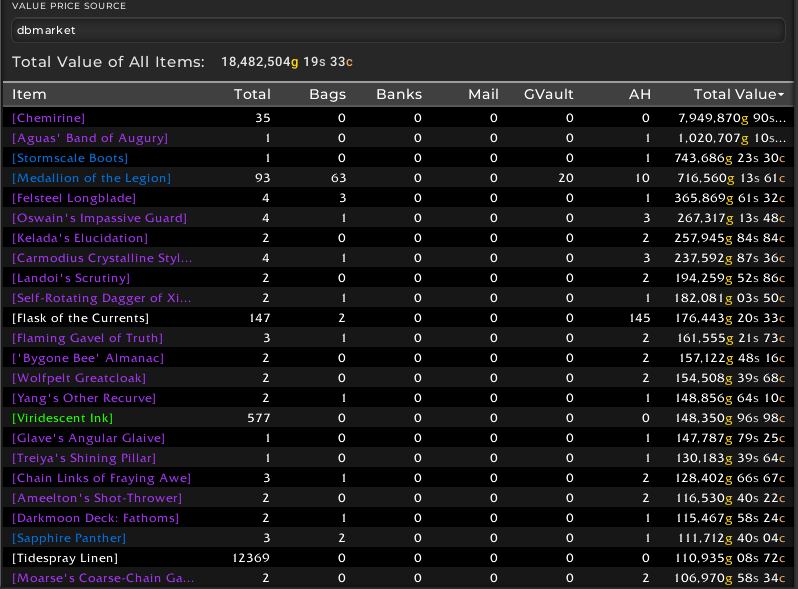 My AH value decreased by 280k, while my liquid gold was increased by 1.3 million finally breaching the 7 million mark. In fact if we add up all my gold I’m now at 7.8 million in total on this realm. 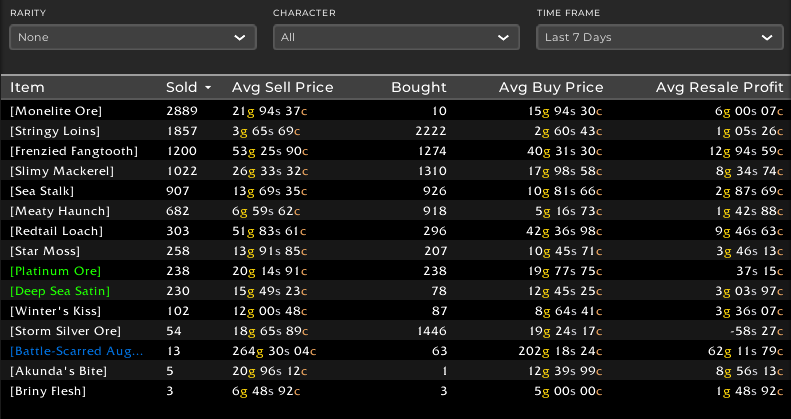 The majority of the gold is of course coming from BoE sales, and this market is absolutely great for me after I spent a couple of weeks earlier in BfA building up stock. 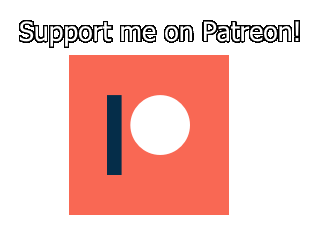 I’m now at the point where I’m getting extremely consistent sales. As you can see from the graph below this week was one of pure profit to my great delight. This week I managed to sell 20 BoEs in total, which is great. The volume is amazing, even if the prices are not as high on all of them. Once again I managed to sell another panther as well as some darkmoon decks. 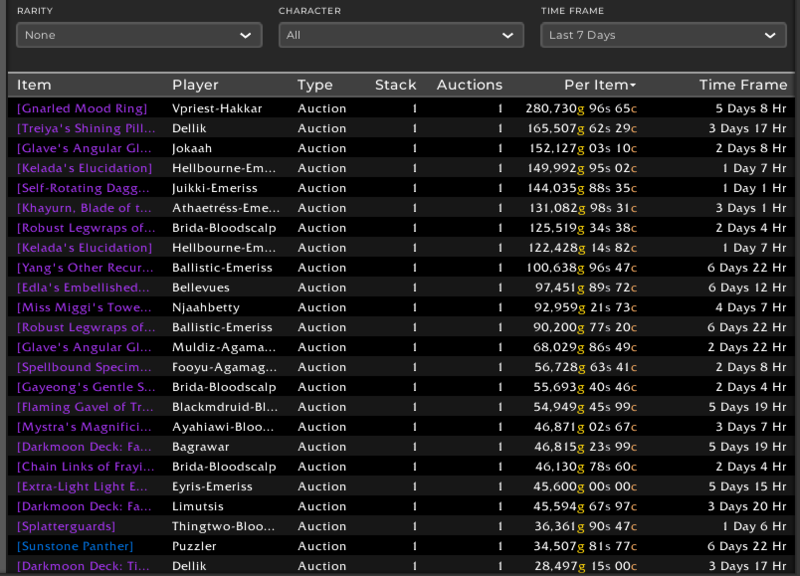 Overall my sales are pretty amazing at the moment, and this is mostly due to the large amount of BoEs I have posted to the auction house. Material flipping is still bringing in a good bit of profit on the side. This week I managed to snag some very good volume in stringy loins and frenzied fangtooth. I also sold some Slimy Mackerels at a great profit margin. My other crafting markets are still generating sales as well, even if they don’t show up on any of the screenshots. Gems, contracts, enchants and blacksmithing gear is all moving at a great rate and helps round out my mailboxes with a baseline of 50-100k in sales a day in total outside of BoE sales. My flask inventory is slowly decreasing which is great. Outside of that my BoEs are my largest value by far. I also have some panthers. In addition some of my material stockpiles are showing up. I am still working on turning the linen and viridescent inks into Darkmoon decks, and I just keep buying materials when I can to top up my stockpile.